From the fourteenth to the sixteenth century, European monarchies saw a gradual centralisation of power. This was accompanied by the dissemination of political ideas that contributed to the making of a new image of the prince, which relied on visual instruments to assert and construct the prince’s sovereign power. Royal and princely residences were at the centre of this phenomenon. In these privileged spaces, the sovereign accommodated an expanding entourage, and received messengers and guests from other courts. Consequently, it was in these buildings that court society developed in the first place. 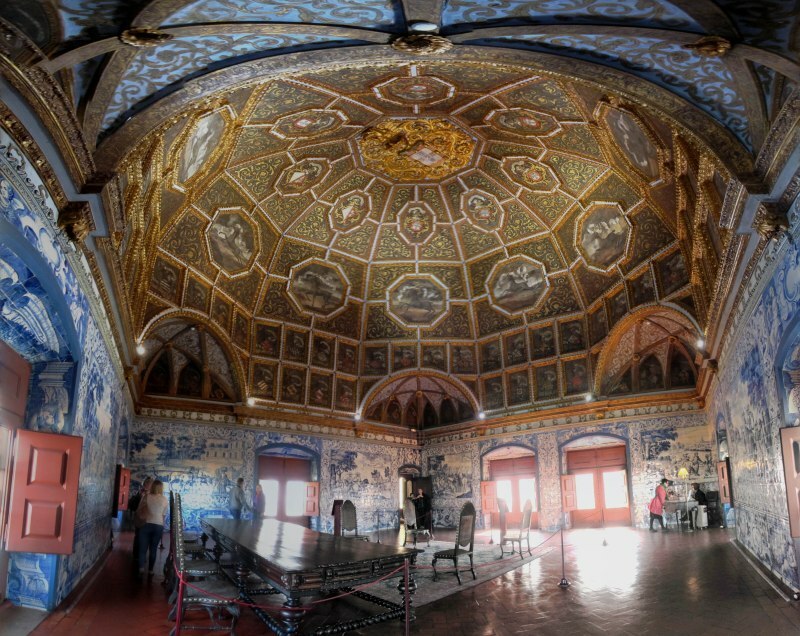 It is therefore not surprising that these palaces played an important part in the self-representation of the sovereign and his court, be it by the arrangement of the spaces and their permanent and ephemeral decoration, or by the common and extraordinary rituals that took place here. In these spaces, designated state-rooms appeared to be vital for constructing an effective image of the monarchy. They were an essential, often architecturally separate part of the palatial structure. Their decors, particularly during ceremonies, reflected political interests and ambitions that were essential to the image of the prince. Outside such ceremonies, state-rooms frequently served as a meeting place of the court, or even as a point of interest to be seen and commented on by spectators and panegyrists. By placing a particular emphasis on the decor of those state-rooms, this workshop aims to increase our insights into the relations between the architecture, decoration, and rituals of monarchical power in state-rooms from the late middle ages to the beginning of the early modern period. A number of questions arise: What factors were involved in the choice of the decors? Which purposes did they serve, and who was the audience? What links did they establish with the space and ceremonies that took place? Who commissioned and created them? How were the decors described, interpreted, and commented on? And, taking into account questions put forward at a previous workshop in Münster, what part did heraldry play in these decors, and in the whole of other forms of representation of power? The workshop will take place in Lisbon (Archeological Museum of the Carmelite Convent, in the old Carmelite church) and Sintra (Sintra National Palace) on 16-18 March 2017. Papers can be presented in English or French. Proposals (500 words) and a short biographical account (max. 100 words) should be sent to heraldica@uni-muenster.de before 15 December 2016. Successful applicants will be notified on 15 January 2017. This entry was posted in Call for Papers and tagged Ritual, Royal Palaces, state-rooms on November 18, 2016 by mikechanters.